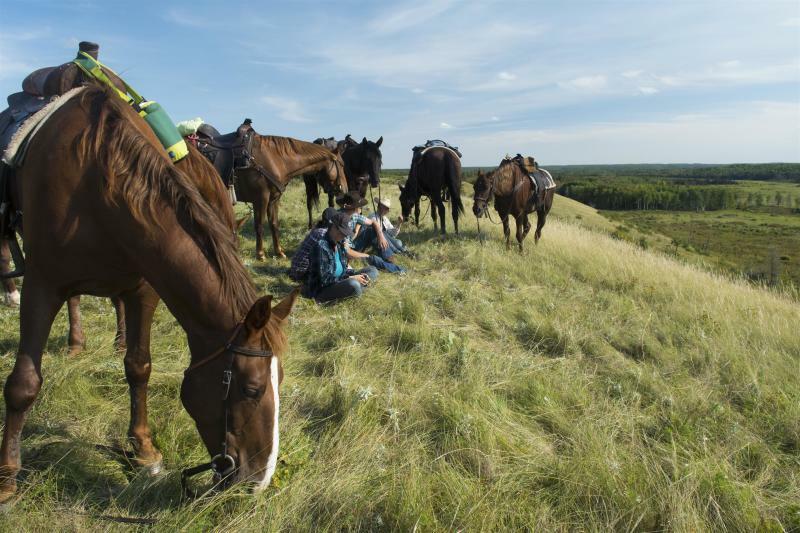 Choose our ranch or the picturesque Riding Mountain National Park for a ride and/or for a stay- view nature firsthand in a truly authentic way. From one hour to two-day rides, riders anywhere from beginner to expert can experience our beautiful surroundings. We strive to offer a very personalized adventure and cater mainly to smaller groups. Cowboy Thomas and Ray are both licensed guides for the Riding Mountain National Park, raise Tennessee Walking Horses and Angus Beef on the ranch. We are the only ranch in Canada affiliated with Hostelling International -Canada and are offering accommodation in dorms, private rooms or you can book as well one of our two fully equipped cabins (sleeps 10). To book accommodation online, please go directly to www.hihostels.ca/rossburn and choose your style of affordable stay.